We all went to Ecuador, Caleb to spend the summer with a family in Quito, and the rest of us to spend three weeks. 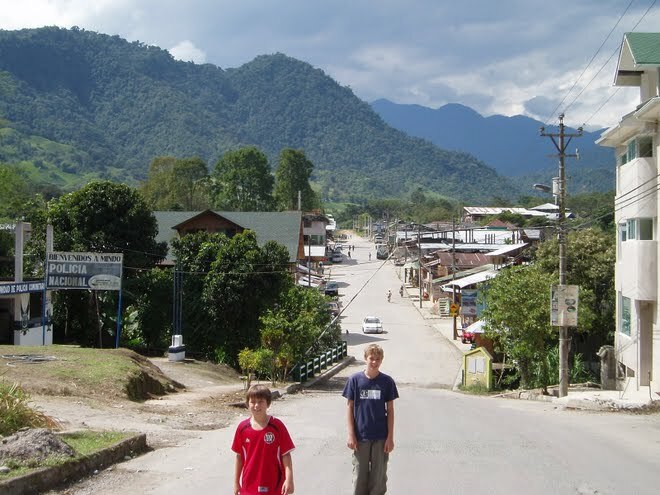 Our first two weeks we spent in Mindo, a little mountain resort town, where we took Spanish lessons and did some volunteer work. We spent the third week in the Amazon ("El Oriente" in Ecuador), and almost every weekend in Quito with Caleb and his family and church. On the way home, we spent a week in Costa Rica, visiting Tortuguero and a family we met four years ago. 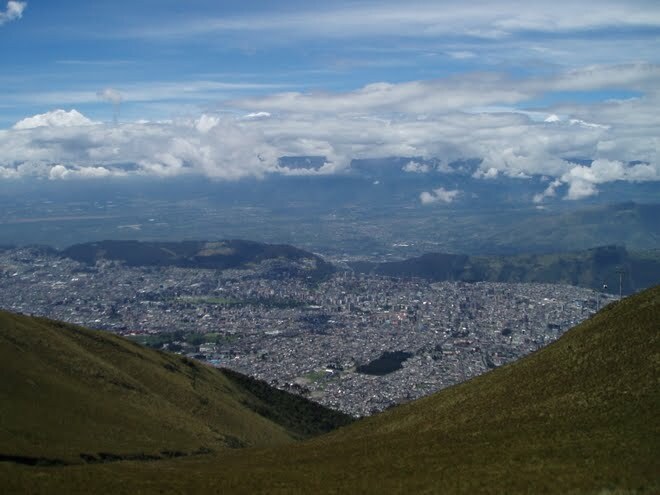 QUITO: Two million people are nestled in this Inter-Andean Valley at 10,000 feet, between 15,000 ft peaks. 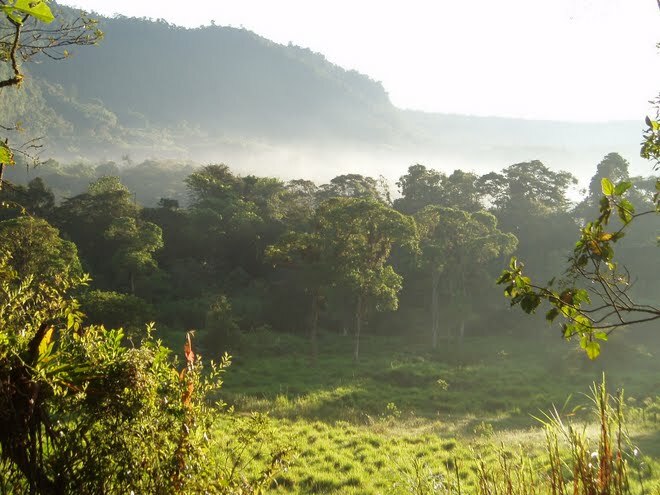 Although on the equator, the temps are in the 60s year-round. 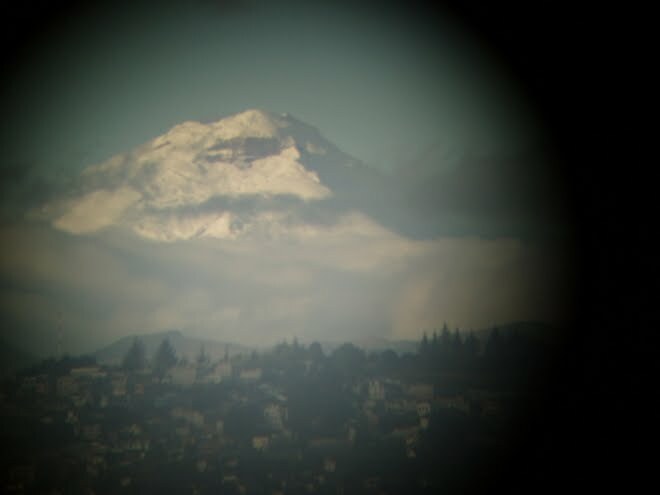 COTOPAXI: At 19,388 ft, Cotopaxi is one of several volcanoes near Quito. 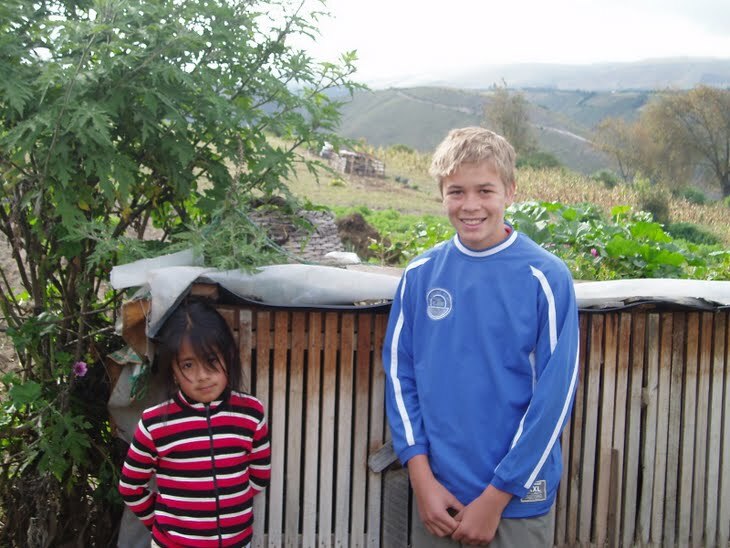 LA PRIMAVERA: Caleb's valley, where he is spending the summer with the Sarango family. 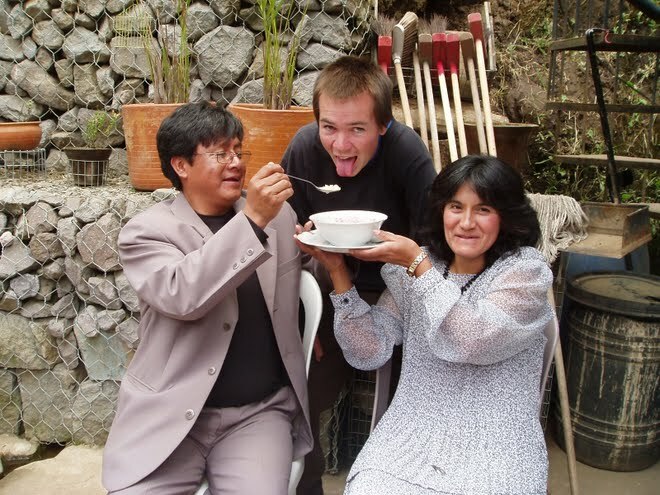 CALEB SARANGO: Caleb with Carlos and Katy, his parents for the summer. Carlos is the pastor of the little La Primavera church, and he seems to have a close friendship with every member, regardless of age. 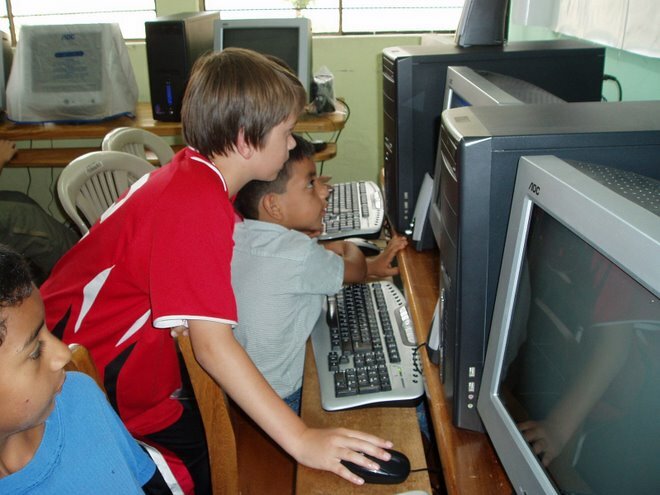 LOS NINOS EN LANGUALO: Though poor themselves, the little church at La Primavera seems to have more service projects to the poor than even a large US church. 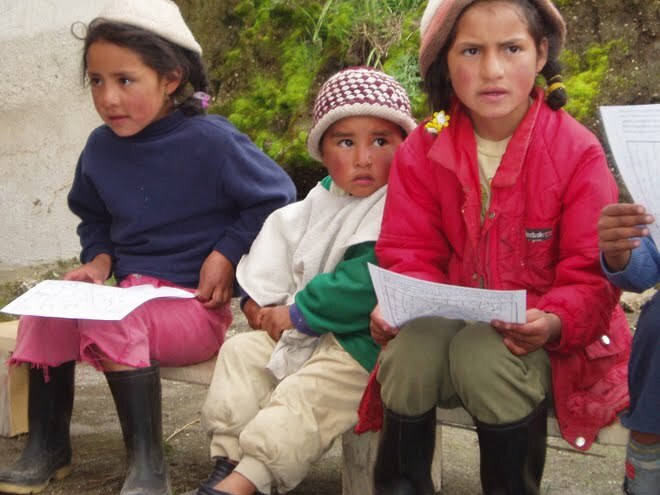 These children live on the north slope of Cotapaxi, where access to health care and markets is difficult. The church members visit them every two weeks, providing food, clothing and some time for fun. GUINEA-PIGS FOR PETS OR MEAT: Luke and Genesis at the guinea-pig hutch. They are for meat only. The leafy green crops in the background are grown to feed the guinea-pigs. 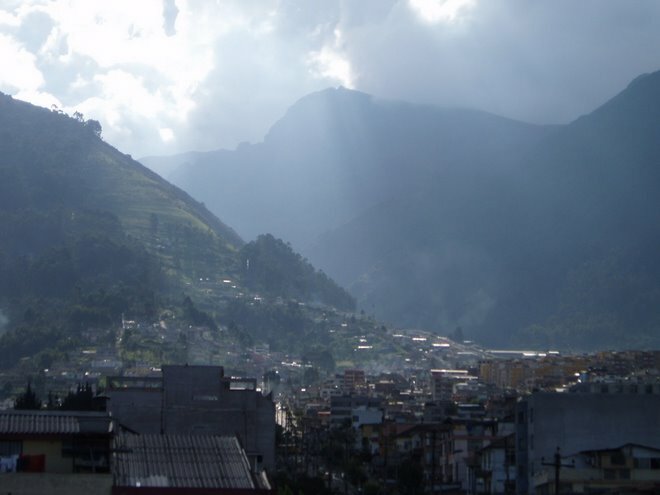 MINDO: With Caleb happily ensconsed in Quito, the rest of us spent two weeks in this little town, two hours west of Quito. 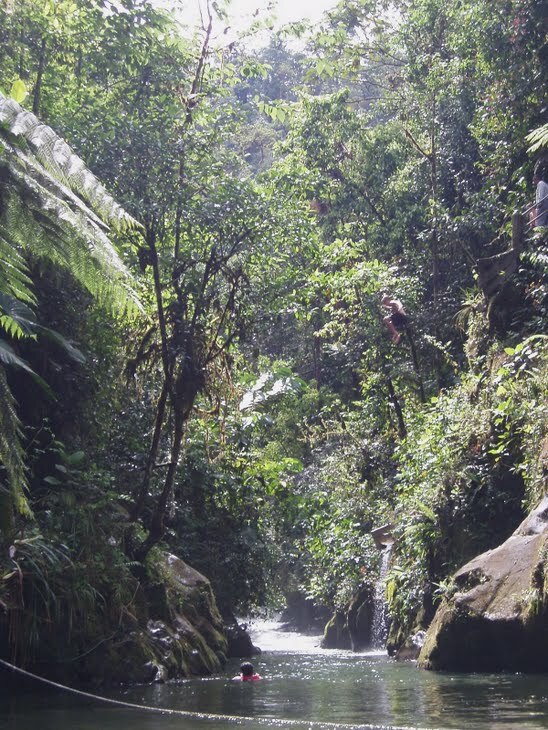 MINDO COUNTRYSIDE: Any short walk from Mindo yields beautiful sub-tropical scenery. 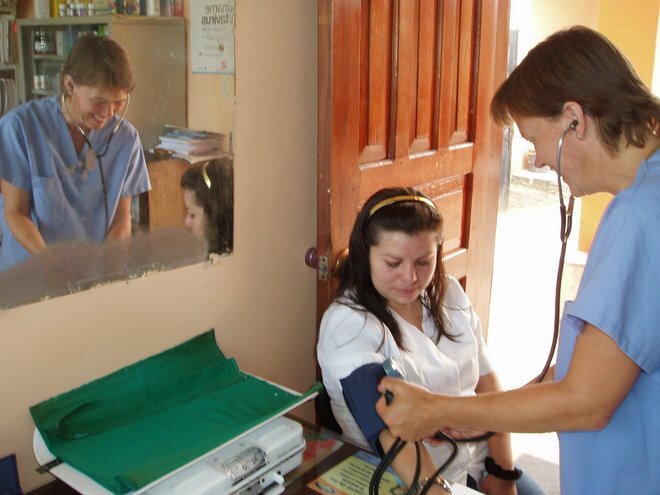 AT THE 'SUBCENTER DE SALUD': Lonna checks blood pressure at the sorely underfunded local health clinic. Machete accidents and teen pregnancies were common in the town. AT THE COMPUTER LAB: Bunky instructs in the ways of Word, Excel, and PowerPoint during one of our popular computer classes. 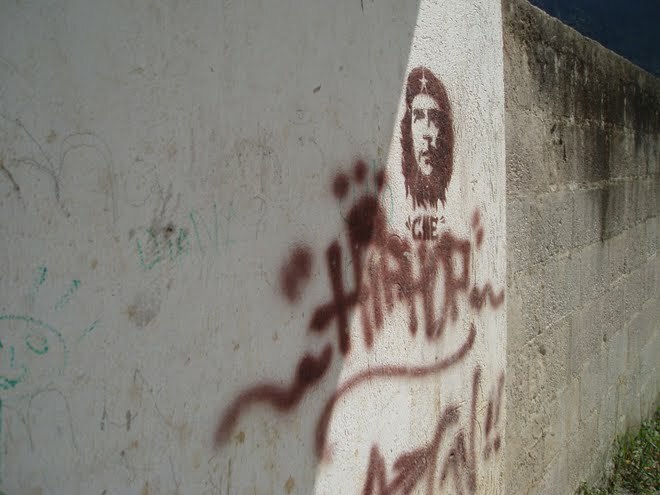 CHE: Images of Che abound in Ecuador, which sends $4 billion a year (30% of the govt. budget) north to the US and the World Bank in a desperate attempt to keep up with debt interest payments. Oil, bananas, and shrimp devastate the environment, but it's the only way they can make the payments. 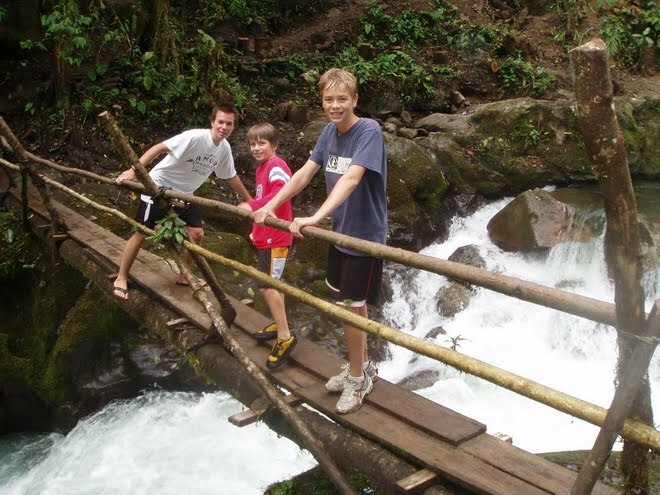 IN THE CLOUD FOREST: Caleb (17), Bunky (10), Luke (14) crossing the Rio Nambillo near Mindo. 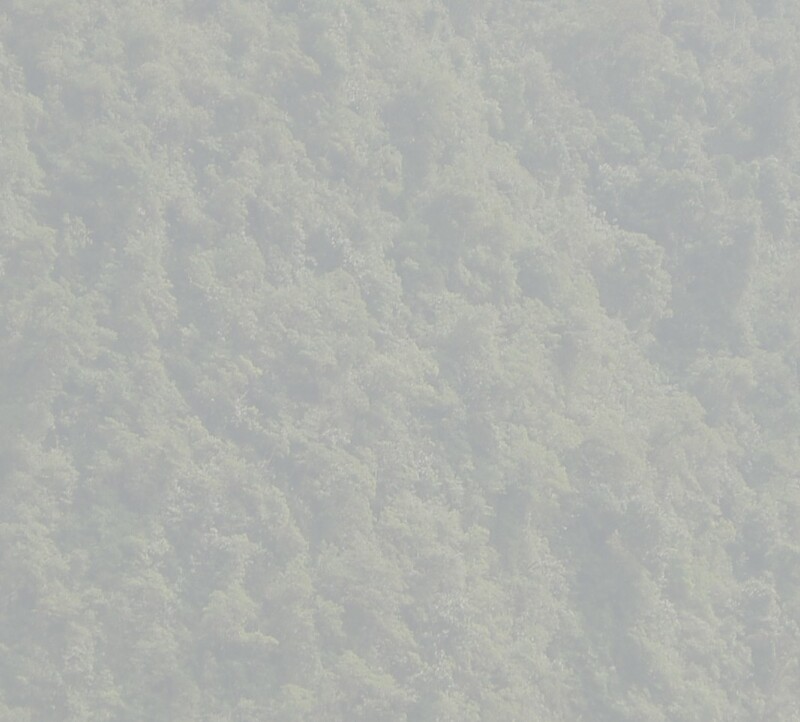 LUKE JUMPING INTO THE VOID: Luke and Bunky each jumped 9 meters into this narrow gorge at Cascada Nambillo. There's also a slide built into the hill (the spout of which is visible below Luke).